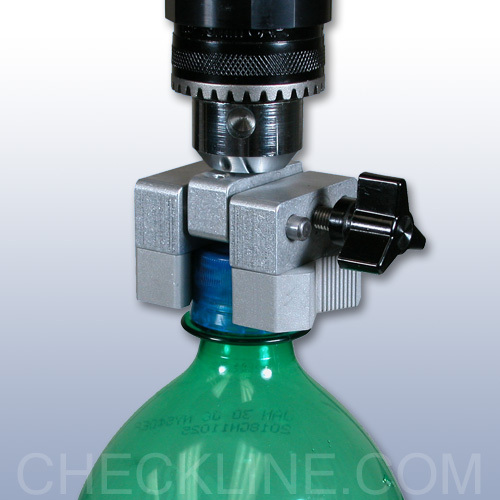 The CAP-TT03 is designed to measure the open and closure torque on bottles, vials, jars and more. 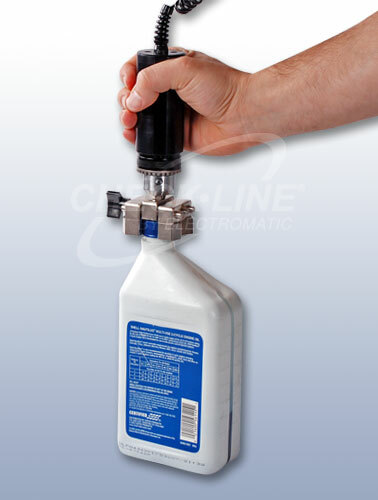 This portable instrument is ideal for odd shaped containers that cannot be secured in traditional table top testers. 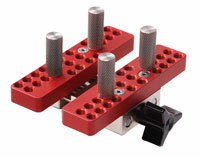 Serrated jaws securely grip cap diameters of 0.65 - 1.55 in (16.5 - 39.0 mm). 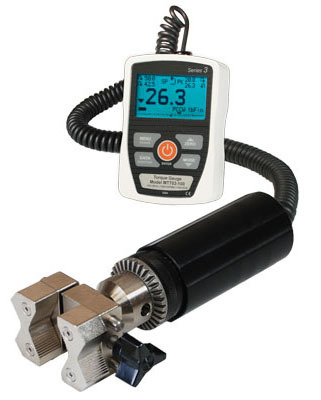 Measure Peak or real-time torque on the large back lit LCD display (clockwise and counter-clockwise directions). The CAP-TT03 is available in three capacities from 12 to 100 lbin (135 to 1150 Ncm). The CAP-TT03 features a sampling rate of 2,000 Hz, producing accurate results under a wide range of test conditions. A backlit graphic LCD displays large characters, and a menu is available to access the gauges? features and configurable parameters. USB output is provided for data collection purposes. The gauges include MESURTM Lite data acquisition software. MESURTM Lite tabulates single point data. One-click export to Excel allows for further data manipulation. 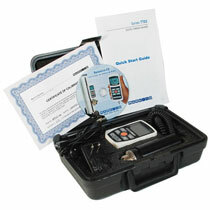 Includes NIST Traceable Calibration Cert. A long form cert with data is optionally available. USB Output: Individual data point output by pressing DATA key. Configurable up to 115,200 baud. The CAP-TT03 is supplied as a complete kit including the force display with torque sensor, G1053 cap grip, universal AC adapter, battery, chuck key, quick-start guide, USB cable, basic data xfer software and NIST traceable calibration cert if a fitted carrying case.